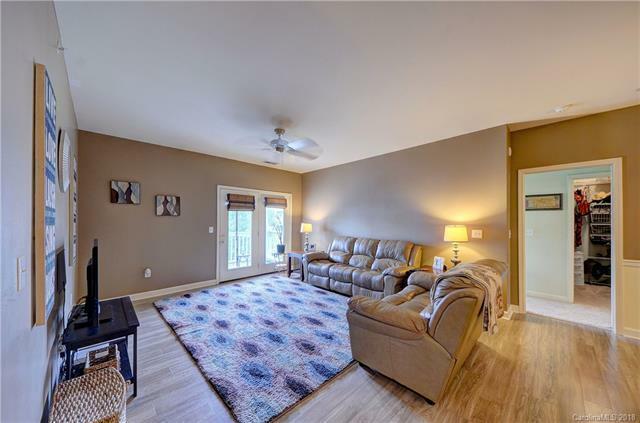 Immaculately maintained and tastefully updated open floor plan 2 bedroom/2 bath condo in desirable Copper Ridge. Contemporary new laminated hardwood in the entry, hallway, great room, & dining room. Oversized owner's suite features walk-in closet and attached master bath. Relax on the balcony complete with deluxe storage. Wonderful split bedroom plan perfect for entertaining or roommates. Perfect parking spot, located right by entrance. Amenities include pool, fitness room, clubhouse and secured building entry. Conveniently located near Ballantyne, interstate and shopping. Move-in condition and ready for quick close.